A friend of mine brought me a gift in the form of a Peony, all the way from overseas, so I am now the proud owner of my very own Peony. 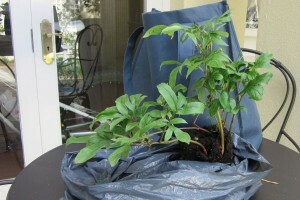 As with all plants that are new to me, I always have to do at least some research before planting, so once again, knowing less than nothing about peonies I needed to find out where and how to plant it and how to care for it. All I know for sure is that mine is a red peony and that I should probably plant it up in a pot for starters. That way I can test where it will fare best in the garden as I move it around. Unfortunately my track record with plants in pots is not good (I tend to kill pot plants) and I consider this too special to let it “go to pot in a pot” – so I needed to find the right spot for it. And I need to get it right as I believe they don’t enjoy being transplanted (that is what I’m reading). My endless searching on the internet had me totally confused and then, quite by chance, Master Gardener and architect, Donna at Garden walk Garden Talk published an article about her Peonies. (How lucky was that?). Her photographs are beautiful – if thats what I can hope for then I am really happy to have this new addition to my garden! What I found really useful in Donna’s photographs was seeing the plant size in relation to the others she has planted them with, as I can now see how much space I need to allocate to mine. This is not always easy to figure out by looking at photographs on the internet as they tend to show close ups of just the flowers or foliage, and not a whole established plant, planted in and amongst other plants. Thanks Donna! So with my newly acquired knowledge I’ve found a spot for it and have planted it where it will receive at least six hours of afternoon sun (as I’ve learnt it needs), in well drained soil, in a spot where it will have space to grow and where it can be admired. 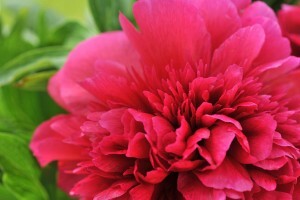 Do you have any advice for a newbie Peony owner? I’d love to hear! Peonies are grown as ornamental plants for their very large, often scented flowers. Due to their colorful and attractive flowers, Peonies have gained a huge popularity these days and are also made available in artificial form which are used as indoor decoration. Peonies are extremely long-lived plants lasting up to 50 to 70 years, so once you get them planted correctly, you will enjoy them for years and years. Peonies are gorgeous perennial flowers that grow as a herbaceous cultivar and as a peony tree. Peonies should be planted away from large trees or shrubs because they will have compete for root space and nutrients, resulting in the size and the quantity of the flowers being reduced. Hi bought a Peony in March and planted it into a big pot. Within a month, all the leaves dried out and withered and I am left with nothing but a bulb ? Is there a chance for survival?? Hi Jeanette – From what I have learnt, Peonies die back in winter and then come back in spring. So I think what you are experiencing is quite normal. If you look at the comments below – see the one from Rhonda – she gave links to her her Peonies – the “nubs” that come up in Spring … thats what you need to look out for come Spring. In fact, Rhonda actually describes very well what we need to do to our Peonies. 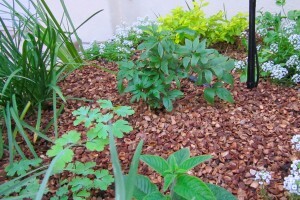 Cut back the dead leaves, mulch a bit …. etc. and your Peony will come back in Spring! Hi Jeanette – Please let me know how it goes! It will be great to compare our Peonies! Lovely! They smell divine and the plant itself is pretty too. I love Peonies! Any ideas on where I can buy one in Cape Town? I haven’t seen any. Hi Kelly – No I don’t know. If you ever find any around, PLEASE let me know. I already want more. Christine, I hope your peony flourishes. I garden in southern Illinois in the US, and we have a lot of herbaceous peonies (the kind that die back to the ground each winter). They are beautiful flowers. One of my favorites. You mentioned watching for the red shoots. Here are pictures of peony shoots in our garden. When the leaves die back in fall, cut them back to just above the ground. Or you can leave them for the winter, then cut them back when the red shoots emerge in the spring. The more sun the better. And they don’t mind some feeding, if you want to, but they do well in our own garden with just a good layer of mulch around them. Don’t cover the area where the stems are, though. 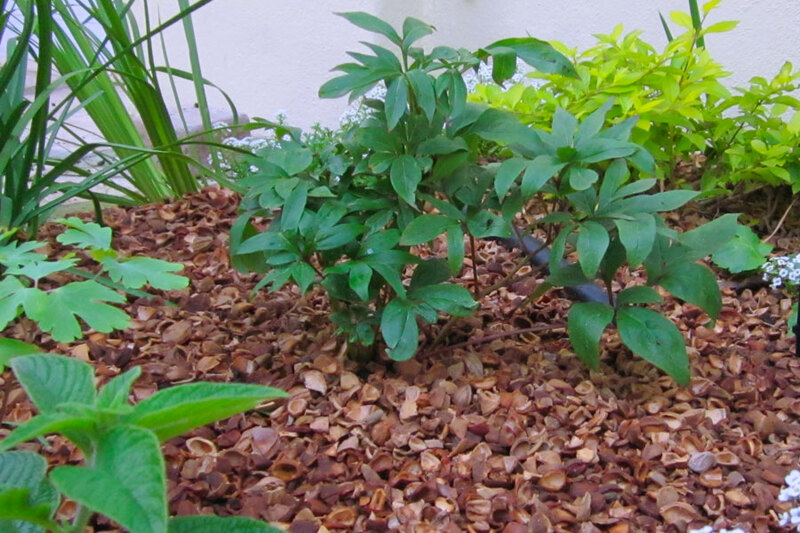 Previous comments are correct…the tubers need to be near the surface, so keep mulch pulled back from the stems. They are not difficult plants. Very hardy and long-lived. And they smell divine! In my experience peonies are very undemanding of any thing but a good amount of sun and a decent amount of water. As plants go, they are very long lived, so you are bound to be enjoying your new peony for years to come. You have bravely planted that new peony as carefully and thoughtfully as humanly possible– there should be a prize for such gardening! And I just checked my crystal ball (yes I do have a crystal ball) and that peony is going to thrive. Thanks for consulting your CB and the positive report back So far she is doing great! I love when I stumble across the very info I’ve been needing on someone’s blog. You’re going to love your peony (and start wanting more)! I Elize – I alreay want more! Peonies are so beautiful. My good friend in Washington had one. She hardly did anything to it and it would sprout blossoms as big as a human head. They really are lovely. I agree Lizzie, they are gorgeous! That’s such great news – as they don’t seem to be easily available to buy here ands I’d love moree of them. So pretty! Thanks Donna! I’m reading and learning lots about Peonies. I’m so happy to have this plant. Congrats on your new baby! So, you are the proud owner of a Peonie. I have heard they take years to establish, so this will be a true test of patence. Enjoy – I am sure it will be worth it! It will fit beautifully in your garden. I’m loving her – even just the foliage is so pretty! Hi! I love Peonies (my favorite flower actually) and am happy for you as a new owner. I think you will really grow to love them. I’ve grown them in a few gardens and am not an “expert” but I’ve learned a thing or two since I’ve put them into several gardens. Be patient, they sometimes take a couple of years to get established and start showing the magnificent blooms. Once they start, the blooms will multiply more and more each year. Also, peonies don’t like to be planted real deep and if there is too much soil/mulch over the top of them they will grow beautiful foliage but not flower. 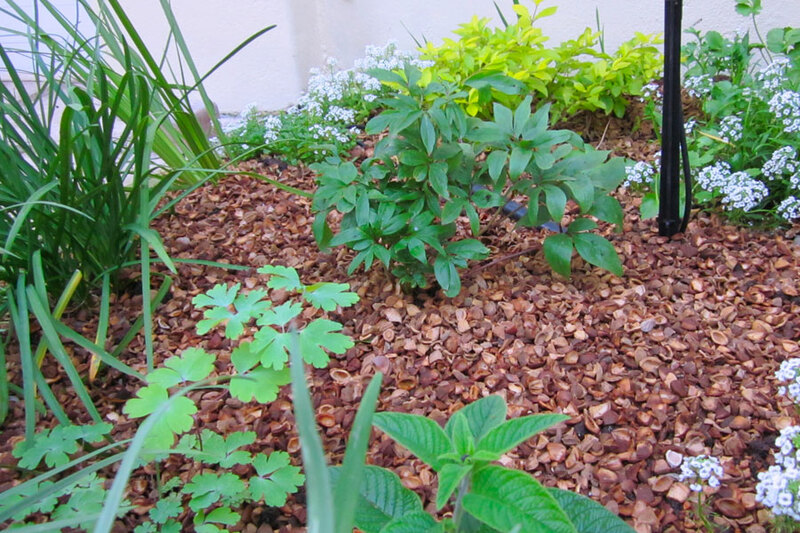 Every spring, (fairly early on) I go out and brush away the soil/mulch until I can see the little red eye, then I cover it up with just an inch or so of soil just to be sure it will make the beautiful blooms. Hope this wasn’t TMI! Absolutely not TMI!! Thanks for the advice – I’ll do that in Spring. I read something like that earlier today but didn’t really understand what they were getting at, so thanks for clarifying! Will look for the red eyes in Spring! What a nice sized peony in that packet! It looks beautiful in its spot – as if it was waiting for a peony to be planted there. Good luck with it! I’m living just north of Houston, TX and never had any luck with Peonies in my garden. I have seen some garden around here having beautiful Peonies in the early spring but as soon as the heat sets in, they are gone. I hope your plants will grow and you will enjoy them. Thanks for the reassurance, hopefu;lly I planted it in the right place.